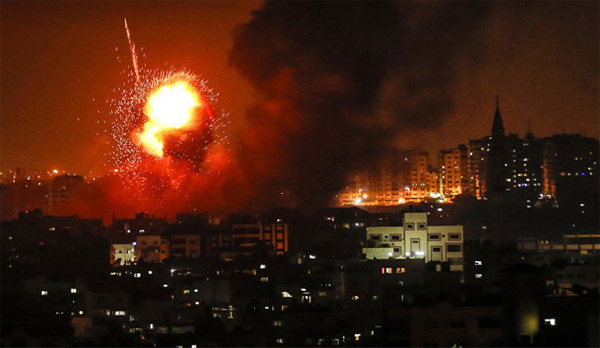 Gaza, Aug 9: A Palestinian official said on Thursday armed factions in Gaza were prepared to halt a round of rocket attacks on southern Israel if the Israeli military stopped its strikes after two days of cross-border violence. A Palestinian official, who spoke on condition of anonymity, raised the prospect of an imminent end to the current fighting. “Factions of the resistance consider this round of escalation over as far as we are concerned, and the continuation of calm depends on the behavior of the occupation,” the official said, using militant factions’ term for Israel. The official, at a command center used by armed groups in Gaza, said they had been “responding to crimes” by Israel — a reference to the killing on Tuesday, in disputed circumstances, of two Hamas gunmen. The latest fighting has stayed within familiar parameters. The rocket fire from Gaza has not targeted Israel’s heartland and the Israeli military said its air strikes were limited to Hamas installations. Yuval Steinitz, a member of Prime Minister Benjamin Netanyahu’s inner cabinet, told Israel Radio before the Palestinian officials comments that Israel was “not eager for war” but would make no concessions to Hamas. Netanyahu was due to hold a security cabinet meeting later in the day after consultations with security officials. Rocket warning sirens sounded almost non-stop in the southern Israeli town of Sderot and other border communities from sunset on Wednesday. Many residents have a reinforced room in their homes where they can shelter. 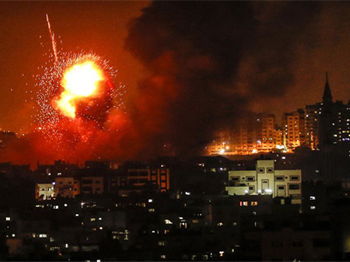 The military said more than 180 rockets and mortar bombs were fired from Gaza. Ambulance sirens echoed through the night in Gaza, where families huddled at home as powerful explosions shook buildings. The Israeli military said its aircraft struck more than 150 facilities belonging to Hamas. Gaza has been controlled by Hamas for more than a decade, during which time it has fought three wars against Israel, the latest in 2014.